Twitter users who lack an audience for their messages can now buy followers. Australian social media marketing company uSocial is offering a paid service that finds followers for users of the micro-blogging service. Followers are available in blocks starting at $87 (£53) for 1,000. The biggest block uSocial is selling is 100,000 people. USocial said businesses and individuals were queuing up to use its follower finding service. Leon Hill, chief executive of uSocial, said the company finds potential followers by searching Twitter and working out what individual users are interested in. It also profiles where people are so it can more closely match users with those they might want to follow. USocial then sends messages to potential followers telling them about the new Twitter user they might want to follow. "It's up to the user to follow them or not," said Mr Hill. He added that uSocial continues to look for followers until the specified number had signed up. USocial has about 150 customers that had bought followers and had another 80-90 campaigns about to roll out. A broad range of clients had signed up to buy followers, said Mr Hill including educational organisations, companies and marketing firms. "A woman who runs yoga classes is one of our clients," he said. "So are some religious organisations including one man that just wants to get the word out about God." "Twitter started as a way for just friends to keep in touch," said Mr Hill. "As with any social media site once they get big, every business or marketer jumps on the bandwagon. "It's an excellent marketing medium," he said. USocial estimated that each follower on Twitter was worth about 10 cents a month to a company that got them to sign up. The money would be made from adverts and sales on websites that followers click through to. Robin Goad, a research director at Hitwise who has analysed Twitter growth, said businesses were definitely starting to sign up to the micro-blogging service. "At the moment, it's mainly media and internet content businesses," he said. "Transactional companies are struggling to find a way to drive real pounds and dollars from it. "Companies are building up as many followers as they can and trying to monetise them in the future," he added. The growing commercial use of Twitter was presenting the network with a few problems, said Mr Goad. In particular, he said, Hitwise was starting to see the hijacking of hashtags - labels that bring all the messages about a subject together. 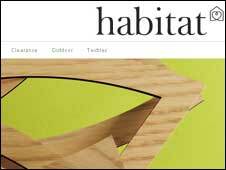 In late June, furnishings firm Habitat used tags associated with protests in Iran to attempt to drive people to its site. The firm has since apologised for its actions. Some Twitter users were also starting to send out messages that are only about a product or service - effectively spam, said Mr Goad. "Twitter is becoming one of the key viral channels," he said. Twitter might cope better with the creeping commercialisation than other social media sites, he said. "It's interesting in the way it has developed," said Mr Goad. "Hashtags and re-tweets have developed organically rather than been designed from the top down. "One advantage it has over other services is that it can change quickly if hashtags become a polluted medium and it might keep one step ahead of the spammers," he said. "We've yet to see people defecting to the next big thing."